Air filters, how important are they really? The short answer: VERY! It may seem like a hassle to change your HVAC filter every 30 days, but every time you change your filter, you’re doing yourself and your system a favor. Understanding how air filters work and what they do for you could take some of the sting out of climbing into your attic once a month to switch out this unseen hero. What is the function of an air filter? Air filters live up to their name. They filter your air. 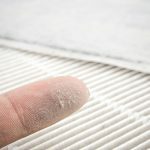 They don’t just keep dust and pollen out, they are also tasked with keeping larger particles out of your HVAC system and saving them from damage. Dirty, unchanged filters are a leading cause of issues with your HVAC system. What are the risks of an unchanged filters? Not changing your air filter as directed means dust, mold, and other particles are entering into your air and reducing your indoor air quality. Clogged filters force your system to expend more energy, costing you more in utility costs for poorer quality air. This also means that areas of your home may not be getting the airflow they need, reducing your home’s comfort level. The other big risk of neglecting to change your air filter is a system overheating or freezing up. Preventing these issues and ensuring you have the best quality air is as simple as changing your air filter as directed! Checking the state of your air filter is part of Air Specialist’s maintenance tune-up inspection. Schedule your spring tune-up and consider signing up for one of our maintenance agreements so you’ll have peace of mind about your HVAC system. Increase the life of your HVAC system and check your filter, TODAY!